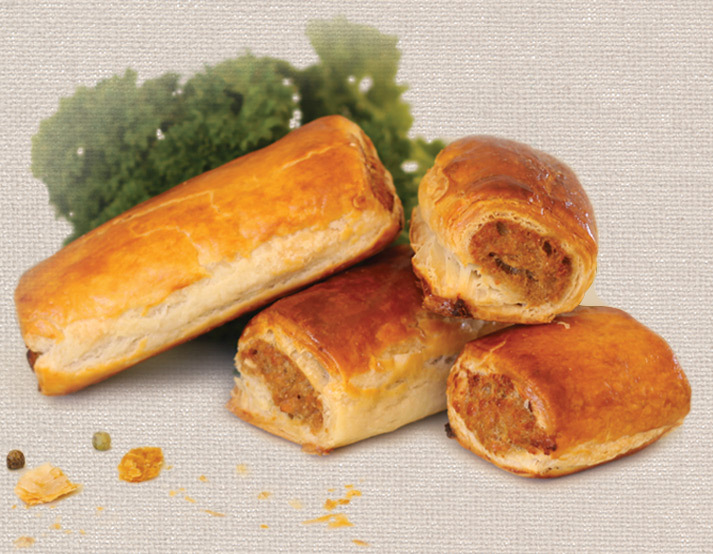 Mrs Quick’s famous gourmet Sausage Rolls are perfect for entertaining, and with almost twenty years experience, we’ve perfected our melt in the mouth recipe. With more meat and the finest puff pastry, you can cut them to any size and bake fresh, for that genuine homemade taste, and perfect flaky pastry. Textured Vegetable Protein... Heard of it? Even if you haven’t, you’ve most likely eaten it. Textured Vegetable Protein (or TVP) is a highly processed, fabricated food product commonly used as a meat substitute, extender or ‘filler’ in many meat and vegetarian pre-packaged foods, in particular sausage rolls and pies! A by-product of soybean processing, TVP is created by subjecting soy flour to high pressures, high temperatures and caustic chemicals. Mmmm, nice huh? At Mrs Quick we are passionate about creating great tasting food for everyone to enjoy. Instead of TVP, our sausage rolls and pies are brimming with tender meat and fresh veggies. So not only do they taste amazing, they are better for you. What's Cooking At Mrs Quick? We reckon our sausage rolls and pies are pretty tasty on their own, but if you feel getting a little fancy, check out some of our great recipe ideas for inspiration, and share your meal creations with us. While our tasty little recipes have been busy becoming Australian favourites, Mrs Quick has proudly remained a tight-knit, family owned and run business, focused on creating jobs for our local community. Mrs Quick sausage rolls are the best we have ever eaten. 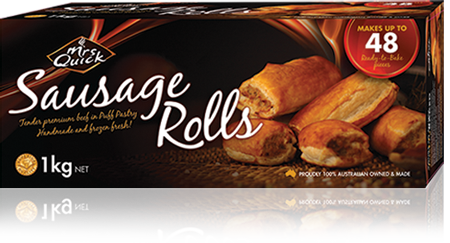 I don't ever send any feedback on products but seeing your pamphlet in the sausage rolls box, I thought I would. All I can say is awesome sausage rolls!!! Keep up the good work. I bought your sausage rolls on the recommendation of a friend. WOW was I pleased and surprised at everyone's reactions, they loved them and declared that they tasted just like homemade.